You are here: Home / Celebrity Video / Sabrina Carpenter Shares Teaser For Her “Can’t Blame A Girl For Trying” Music Video! – Watch Now! Sabrina Carpenter Shares Teaser For Her “Can’t Blame A Girl For Trying” Music Video! – Watch Now! 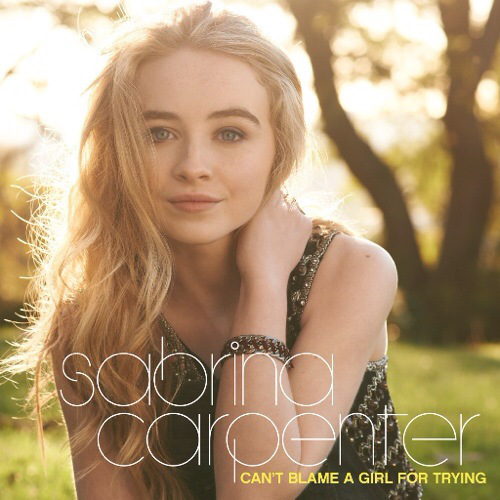 Sabrina Carpenter, the star of Disney’s new series Girl Meets World and now singer of her new song “Can’t Blame A Girl For Trying”,has a music video on the way and Sabrina shares a teaser with her fans for the upcoming music video. The official music video for “Can’t Blame A Girl For Trying” will be available on March 28, 2014! But in the meantime, check out Sabrina’s super short teaser for the song in the video below! « The Muppets Audition To Host The 2014 Radio Disney Music Awards! – Watch Now!